Total Area: 1607 Sq. Ft. This is one of my favourite plans on the site. 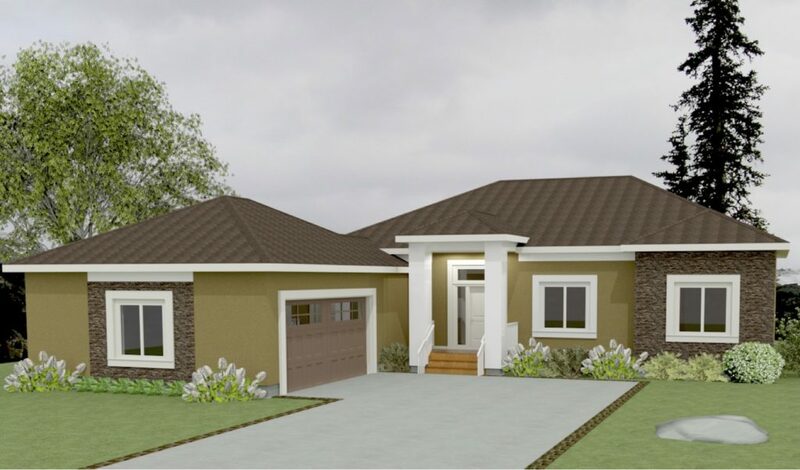 This 1,607 square foot, three bedroom, two bath design is super cost effective and is a great starting point for designing a custom plan. Many of our clients have used this as a starting point and then modified and customized the design to come up with their own dream home. The fact is, when you start with a well laid out design, keeping it efficient and cost effective, making modifications is much easier. This plan is a big brother to the Birch, and little brother to the Sawtooth. This design is laid out in a way that ensures no space is wasted. Entering the home through the garage entrance (which is generally the daily route), you have plenty of closet space for boots and coats. There is an option for main floor laundry in that area or the space could be used for coat hooks and benches. Remember, the point of building a custom home is to use the space how YOU feel would best suit your needs and lifestyle. The mudroom walks in through the kitchen to make grocery delivery easy and from there, into the great room. (Check out the Sawtooth plan for an example of how this entryway can be reconfigured). A common upgrade on this plan, is to do a vaulted ceiling throughout the great room. It is a cost effective way to really open up the space and give the space a roomy feel. There is plenty of glass in the great room that takes advantage of natural light and the views that your property has to offer. The corner fireplace is a nice feature and can be seen from anywhere in the great room. The kitchen in this design has plenty of prep space on the countertops with a large eat-in island, that is also very functional for serving food and entertaining. The bedrooms are all in the same area and configured in a way to maximize the use of the space. 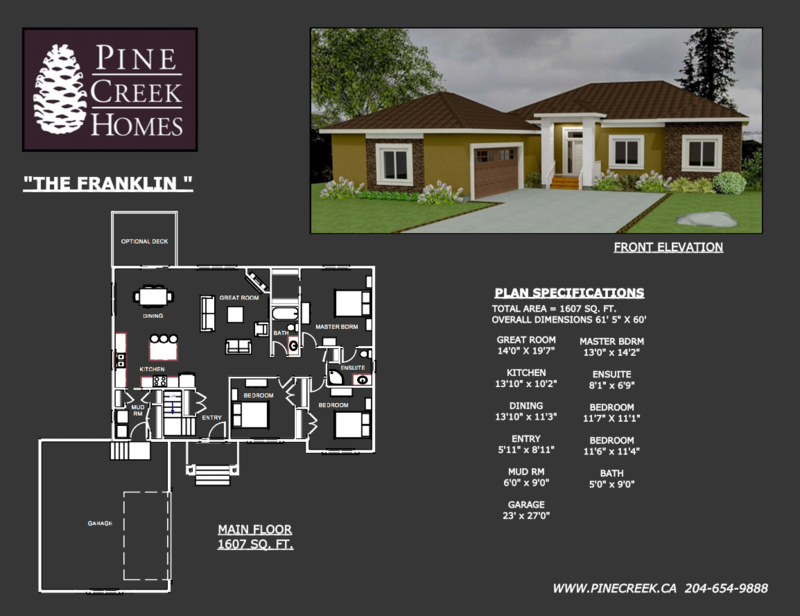 The master bedroom has its own ensuite and walk-in closet and takes advantage of a backyard view. The garage on this home is done at a 90 degree angle to the house for a nice curb appeal, but on a wider lot, it could be turned to the side of the house as well.